To prevail in a product liability case, an injured victim must have been using the product in question as it was intended to be used. Damages that may be awarded can include compensation for medical treatment, lost wages, and other injury-related expenses. WHAT ARE THE PRODUCT LIABILITY LAWS IN CALIFORNIA? To prove this, it would help if you had photographs of your injuries, the product, and any other evidence relevant to the claim. Immediately after the injury, start taking pictures of everything and anything. If there were witnesses to the accident, get their contact information immediately and ask them for a brief statement describing what they saw. The more evidence you have, the stronger your case will be. California has a strict liability rule related to product liability cases. This law means the victim does not have any obligation to prove that the manufacturer or seller’s negligence in ensuring product safety caused the injury. Instead of proving someone acted negligent, the victim only has to prove the defect caused the injury. This makes it much easier for victims to pursue product liability claims against the manufacturer or seller, but that does not mean compensation is a guarantee. You should always speak with an attorney to discuss your legal options. California requires that you file a product liability claim within one year after the discovery of the injury, so move quickly once you have suffered an injury and contact Chris Purcell for a free case evaluation today. WHAT ARE THE DIFFERENT TYPES OF DEFECTIVE PRODUCTS? Design defect: this occurs when a product is designed in a way that makes it reasonably dangerous to anyone who uses it in the manner it is intended to be used. An example of this could be a stepping stool that easily collapses when pressure is applied to it. Manufacturing defect: this occurs when a product’s design is safe, but an issue with manufacturing causes it to be unreasonably dangerous to anyone who uses it. Using the same stepping stool example, a manufacturing defect would occur when the stepping stool was designed properly, but the manufacturers accidentally use a material that is too weak to carry weight. Warning defect: this occurs when a product’s packaging does not warn consumers of the potential dangers of using the product. For example, if an over the counter medication does not warn consumers of the potential dangerous side effects of using the product, this would be a warning defect. Remember, you must have been using the product according to the instructions on the packaging, and if you weren’t, you will no longer have a products liability claim. For example, if the instructions on a package of fireworks states you should never hold the firework while it is lit, and you choose to do so anyways and injure yourself, you cannot file a product liability claim. In this case, your injury was a result of you failing to follow the instructions, not a defective product. WHO CAN ORANGE COUNTY ATTORNEYS HOLD LIABLE FOR YOUR INJURIES? One or more parties may be liable for the accident. 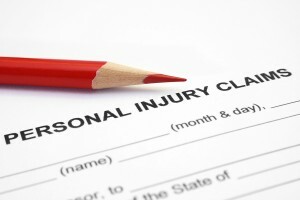 The party or parties that are liable will depend on what type of defect caused your injuries. For example, if you were injured because of a manufacturing defect, the manufacturer would be liable, not the distributor or retailer. However, if the product’s defect was due to poor design, the original designer of the product would be held liable instead. Determining the type of defect is an important part of every product liability case so you can identify the liable parties and hold them accountable for your injuries. If you have been injured because of one of these defects, seek representation from local attorney Chris Purcell as soon as possible. A product liability case can be complex, and the liable party will most likely have a team of experienced lawyers on their side, so you should have one on yours, too. If you’ve been injured using a dangerous consumer product, call an attorney today. You have a limited amount of time to file a claim. Product-related injuries are often severe, long-term, or even permanent. Traumatic brain injuries in particular can develop slowly over time to become disabling. If you’re injured using any consumer item, obtain medical treatment immediately. Do not speak with an insurance company before consulting with Chris Purcell, and call him as quickly as possible. Chris Purcell has represented accident victims for more than two decades, and he will work hard to make a positive difference for you. He has experience working with clients in cases involving defective products, bicycle accidents, motorcycle accidents, dog bites, pedestrian accidents, slip and fall accidents, and premises liability. Chris represents clients throughout Orange County including Santa Ana, Irvine, Tustin, and Garden Grove. Personal injury lawyer Chris Purcell is committed to helping you get your life back after a serious injury and helping you move forward in the most positive way possible. Product liability claims are handled on a contingency fee basis, so you pay nothing unless and until Purcell Law recovers compensation for you. To schedule a free consultation with an Orange County product liability lawyer, please call 714-884-3006 or contact Chris by email today.